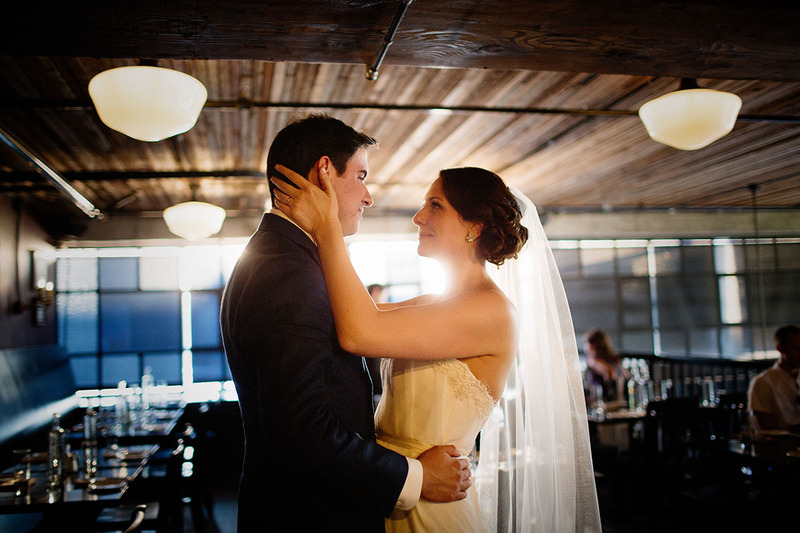 Love this moment from Susan & Pablo’s Wedding at Sole Repair Shop in Capitol Hill. They had just walked up the aisle from the ceremony and are looking at each other for the first time as an official married couple. I just noticed people using the hashtag #momentsovermountains and I love it! Pictures of real moments at weddings are the ones that will hold the most value to you in the future. Climbing a mountain just for a photo, or hiking to some waterfall, might be fun, but I think it can sometimes be a little superficial. Like trying to create a photo that will get the most likes rather than capturing something real. I know the photos that I really value and hold dear are the ones that bring back a memory or remind me of something I felt. You can’t fake a look like the one they are giving each other!